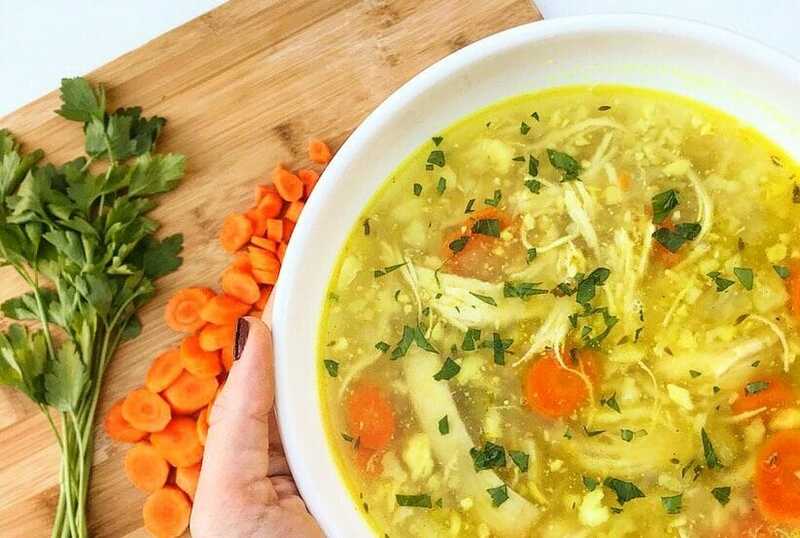 This Turmeric Chicken and Cauliflower Rice Soup is not only glowy and vibrant, but it’s full of so much anti-inflammatory goodness! The star of the show in the recipe aka ground turmeric is a spice that is made from the root of a turmeric plant. It is responsible for the color of curry and mustard and has been celebrated for it’s use in food and medicine for centuries. Curcumin is an ingredient in turmeric that offers antioxidant and anti-inflammatory properties. It’s used for many health problems such as arthritis, heartburn, IBS, and lowering blood sugar. 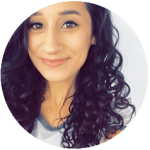 There are many who suffer from chronic acid reflux who are able to tolerate and benefit from turmeric, but there are a small number of people who it is problematic for. If you have GERD, keep that in mind while making this recipe and just that fact that some foods are trial and error. Don’t forget to tag @thegerdchef and hashtag #thegerdchef if you end up giving this recipe a try, I’d love to see it! 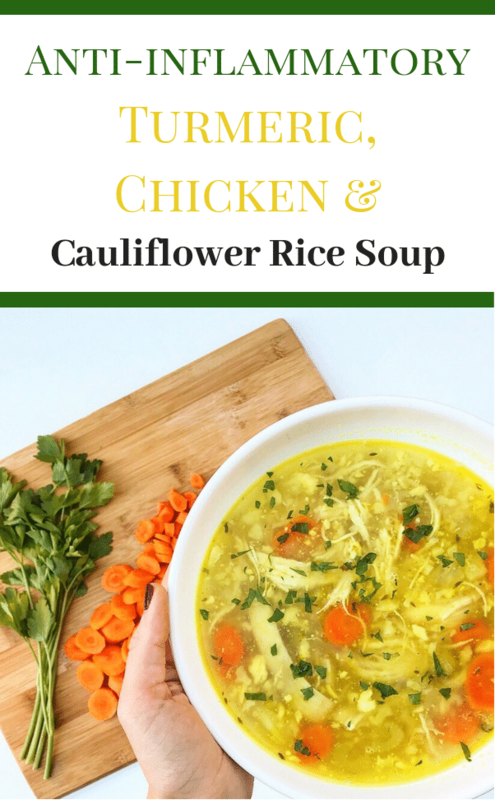 This Turmeric Chicken and Cauliflower Rice Soup is healing, bright, and so cozy for the fall and winter months! Prep vegetables: slice the carrots and celery. Wash and cut the stem/leaves off the cauliflower. Cut into fourths and process in a blender in batches until you get a cauliflower rice. If you don’t have a blender, you can use a box grater to rice the cauliflower. Bring the water and broth to a boil in a stockpot. Add the chicken breast, carrots, celery, bay leaf, thyme leaves, garlic/onion powder, and 1-2 tbsps of salt. Lower heat to a simmer and cover. While the soup is cooking heat a skillet on medium, then add 2 tbsp of oil. Once the oil is hot, add the cauliflower rice, turmeric, 1/2 a tsp of salt, and pepper to taste. Cook for 10 minutes, stirring occasionally. Take the chicken out of the stockpot once it’s cooked through and shred it with a fork. Add the shredded chicken and turmeric cauliflower rice to the stockpot. Let simmer for 1 minute. Season with salt and pepper taste. Top with fresh chopped parsley. Approx. 5 FPs per serving. FP stands for Fermentation Potential and is used to determine the symptom potential in foods for those using the Fast Tract Diet to heal/improve symptoms of GERD, LPR, SIBO, IBS, etc. If you don’t care for cauliflower or can’t tolerate it, replace it with cooked jasmine rice (just add the ground turmeric while cooking the rice). Turmeric is something that can be tolerated by many GERD sufferers, but there a small amount that find it problematic. Keep that in mind while trying this recipe and just the fact that some foods are trial and error. I use powdered onion and garlic in this recipe because they are easier to digest than whole onion and garlic, but if you can tolerate garlic and onion whole and cooked, go for it! Just sauté until the onion is translucent before adding the water and broth. Can’t tolerate powdered onion and garlic at the moment? Feel free to omit altogether and adjust this recipe to suit your dietary needs. 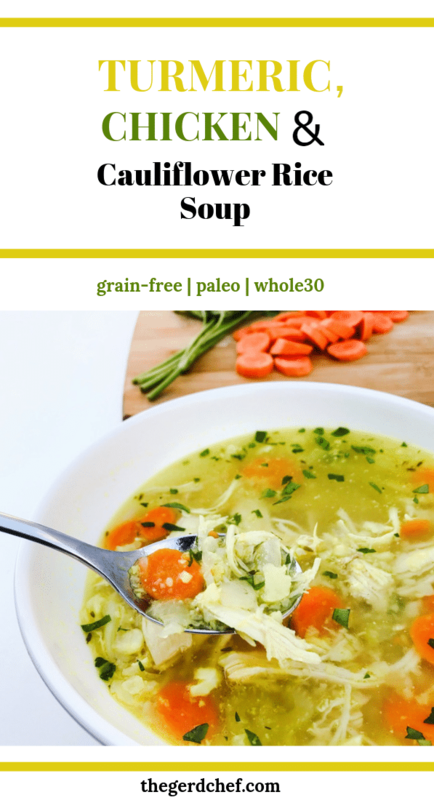 This recipe was created following the guidelines of the Fast Tract Diet; a protocol I’ve used to personally help reduce my chronic acid reflux (GERD) symptoms. Keep in mind that a food one person may be able to tolerate, another may have trouble tolerating. Adjust recipes according to what fits your individual health and dietary needs. Love the recipes so much! Is there nutrition facts available for these? I’m also trying to lose weight. 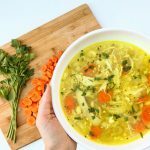 Made this soup over the weekend and love it! I added 2 more cups of broth so that we’d have leftovers and reduced the salt in the soup, but otherwise followed the recipe. I’ll be making it again, for sure. So thrilled to find your site! This recipe is outstanding! I was reluctant about the cauliflour and tumeric, but it worked perfectly. 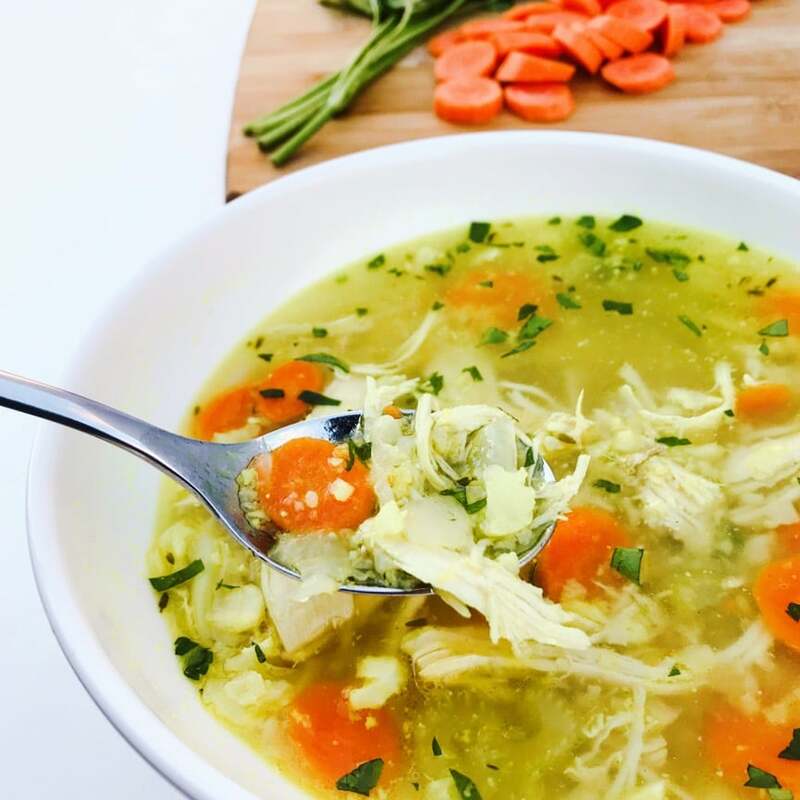 I made this in the instant pot– carrot, celery, chicken, bay leaf, spices– 7 minutes, 10 minutes natural pressure release. Cauliflour as directed in the recipe. I absolutely love that you used the instant pot! My husband just got me one and I’ve been dying to try this recipe in it. So happy you enjoyed the soup!